At ShaStore.com, we believe that customer satisfaction is key; therefore we stand behind all products bought at our site. At the time of delivery you should not accept open / damage packet. Our company seal / tape should be intact on the packet while accepting the packet. You should refuse the delivery, If packet is looking tampered. We do not accept any return / refund request in this case. You are completely protected. 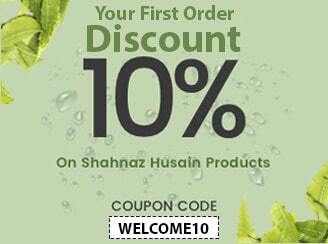 ShaStore offers a 7 day return guarantee for all such items after delivery. However, for some products, the sale is a final sale, and ShaStore does not accept any return. Some products like Lipstick, LipGloss, edible products cannot be returned due to health reasons. 4. Batch Number / Expiry Date is tampered. If you wish to know more about ShaStore.com Return Policy, Please email or call us.